Product prices and availability are accurate as of 2019-04-10 11:00:49 UTC and are subject to change. Any price and availability information displayed on http://www.amazon.com/ at the time of purchase will apply to the purchase of this product. 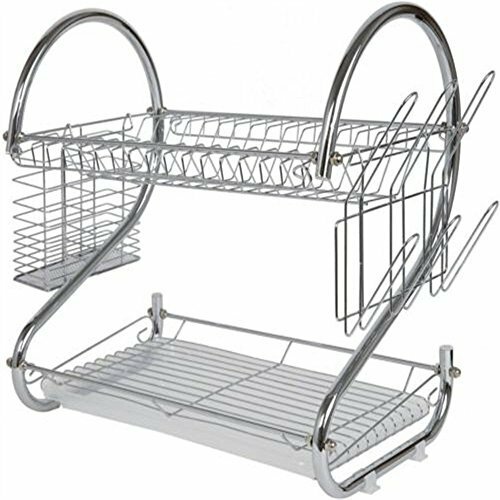 The Paragon Kitchen Collection S Shaped 2-Tier Chrome Plated Drying Rack complements the smallest to the most elegant kitchens. 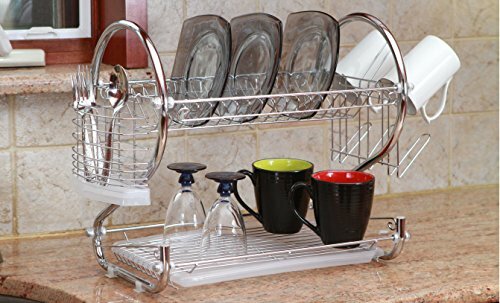 Because of its modern and sleek design, you'll save double the space you would when using a traditional drying rack, accompanied by dish towels because you just didn't have room! The most unique aspect are the two side compartments dedicated to silverware and mugs respectively. 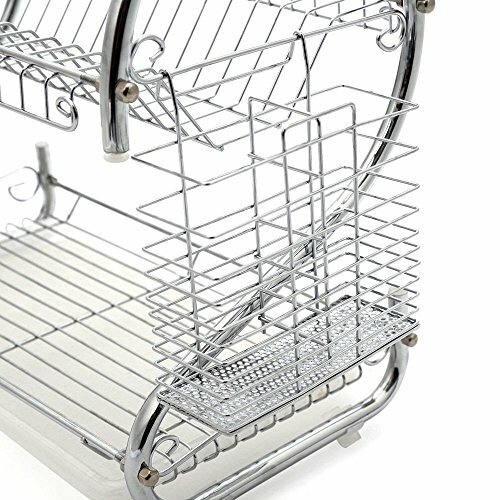 A basket holds all cutlery separate and vertical so they dry without leaving water marks everywhere. The long prongs on the other end allow cups, mugs, or other accessories to hang dry at an angle so water doesn't puddle.